When your business has a Facebook page, you want to reach out to as many customers and partners as possible and generate some Facebook likes. Some companies think that simply by joining Facebook, their page is going to be liked by hundreds or thousands of people. This is a misconception, and many companies are now struggling to gain an audience through the widely popular social network. Generating hundreds or thousands of Facebook likes does not simply happen overnight. It requires a well thought out plan, and it also requires some work on your end. 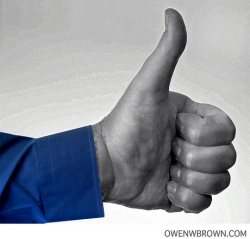 The following are six ways to effectively generate Facebook likes. People like Facebook pages so that they can get more information. If you’re not active on Facebook, and if you don’t provide any relevant information through your page, nobody is going to see the need in liking you. Before starting on your quest for likes, be sure that your Facebook strategy is in place and that you have an employee or outsourced company monitoring your page. Share company information and create status updates that will intrigue people to comment. The more use people can get out of your page, the more likely they’ll be to like it. Some people are selfish and will only do for you what you do for them. Set an example to your customers and partners that you’re involved with Facebook to network and engage with others. Visit Facebook pages of your clients or your partners and like their page. Leave comments on their status updates or pictures that are tasteful, and start the conversation. You can also post your partners’ interesting information on your page too for your followers. Is your caterer having a big public event this weekend? Let your fans know by posting it on your page. Your fans will be happy that your posts are not always focused on your business, and your caterer will be happy for the free publicity. They may be more willing to like you back if you initiate the process. This tactic has been widely used by companies, and many have found much success. Gating refers to hiding content on your Facebook page until someone likes your page. Once they become a fan, they’ll have access to all of your hidden content. Make sure that hidden content is valuable to your fans. If you force them to like your page under false pretenses, it will leave a sour taste in their mouth. Providing valuable content also ensures that your fan will remain a fan. Some companies use gates to hide a coupon, and while it will generate a great influx of likes, these individuals may only be in it for the coupon, and will unlike you after they get the incentive. If you offer valuable information, your fans will remain loyal, and they may even share your information with their friends. To create a gate, you will need to use Facebook iframe. It’s possible that you’re not generating likes because nobody knows that you’re on Facebook. Add an announcement to the bottom of your email signature that lets people know how to find you on Facebook. Be sure to link the announcement to your Facebook page. This way, you are now telling everyone you send an email to that you have a Facebook page, and they may be interested enough to like you. Just like adding an announcement to your email signature line, be sure to share the information everywhere you can. If you have a company website or blog, make sure that you have a Facebook icon that leads readers to your Facebook page. You can even write a post about it and add it to your news page or blog. Do you have a company newsletter? Be sure to add the information to the newsletter, whether print or digital, and let all your recipients hear the news that you’re on Facebook. It’s also important to share this information with your employees through your company portal or intranet. Be sure to tell your employees to like your page, and tell them to share the information with their friends. Your employees can be some of your best advocates, so let them shine. Facebook allows companies to create their own Facebook ads. While it does cost money, it’s a great way to reach your target audience and let them know that you have a Facebook presence, as well as detailing what it is you have to offer. Users can easily like your page right from the Facebook ad, so there is no need for them to search for your company on Facebook. If you implement all of these tactics into your Facebook strategy, you will see a rise in your Facebook likes in no time. If you continue to offer your fans valuable information, and if you continue to monitor your page and engage with your fans, you’ll quickly see much success from your Facebook page. Charlie Adams is a tech guru and social media expert who works as a consultant to the Palms hotel in Las Vegas. Is Facebook Really Worth More Than $100bn?